For the Lotus Evora 414E Hybrid, Lotus Engineering has developed a highly efficient, high performance drivetrain system consisting of twin motors each limited to providing 152 kW (207 PS/204 hp) of power and 400 Nm (295 lbft) of torque to each wheel via independent, single speed, reduction transmissions integrated into a single housing, enabling torque vectoring dynamic control of the vehicle. The vehicle energy storage system is made up of the latest Lithium Polymer battery chemistry providing 17 kWH energy storage capacity. The battery pack is optimised for energy density, efficiency and high power demand, with over 100 kW discharge capability. The Lotus Range Extender engine provides 35 kW (48 PS/47 hp) of power at 3,500 rpm via the integrated electrical generator and features an innovative architecture comprising an aluminium monoblock construction, integrating the cylinder block, cylinder head and exhaust manifold in one casting. This results in reduced engine mass, assembly costs, package size and improved emissions and engine durability. The engine uses an optimised two-valve, port-fuel injection combustion system to reduce cost and mass and can be operated on alcohol-based fuels and/or gasoline. The generator converts mechanical energy to electrical energy to replenish the battery pack charge and provides additional vehicle range in a small light weight package. The generator is also used as a motor to start the range extender engine. The low mass of the range extender unit (85 kg) and compact package makes it ideal for the series hybrid drivetrain in the Evora 414E Hybird. All the operation and management of the range extender engine, the power management of the batteries and motor control are controlled by Lotus’ electronic control units and software systems. Full energy management of all the operating systems is the key to maximising performance and operation while minimising energy consumption and CO2 emissions. For everyday commuting journeys, up to 35 miles can be travelled using battery power. The battery can be charged overnight using a conventional domestic mains supply through a socket concealed by the rear number plate. This permits the vehicle to operate with zero tailpipe emissions. For longer journeys, exceeding the battery capacity, the highly efficient range extender engine is used as a generator to supply the motor with electrical power and top up the battery. 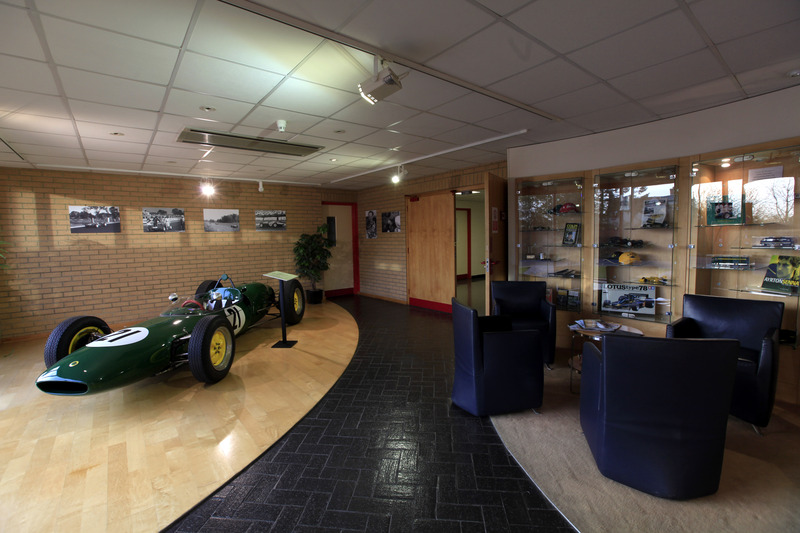 Lotus has used its own vehicle simulation tools to determine the size, capacity, power and performance of all the components in the drivetrain system to optimise the system operation. 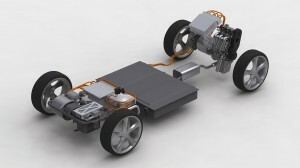 Overall this is far more energy efficient, weight efficient and cost effective than fitting the vehicle with a larger and more expensive battery, which for the majority of short journeys is a redundant weight, which increases energy requirements. With regard to the total lifetime CO2 emissions of the vehicle, including the energy required to manufacture and run it, the range extender solution has a lower overall CO2 footprint than a fully electric car of comparable performance and operating range running with a larger battery. The Lotus Evora 414E Hybrid structure is the same award-winning, versatile vehicle architecture used on the Lotus Evora. The low volume architecture was designed with the upmost flexibility in mind. The Evora 414E Hybrid is a perfect example of how to integrate a compact packaged drivetrain, with excellent performance and range, while using this underpinning. The complete chassis has remained unchanged from the Evora which maintains the structural integrity and strength performance of the original car. 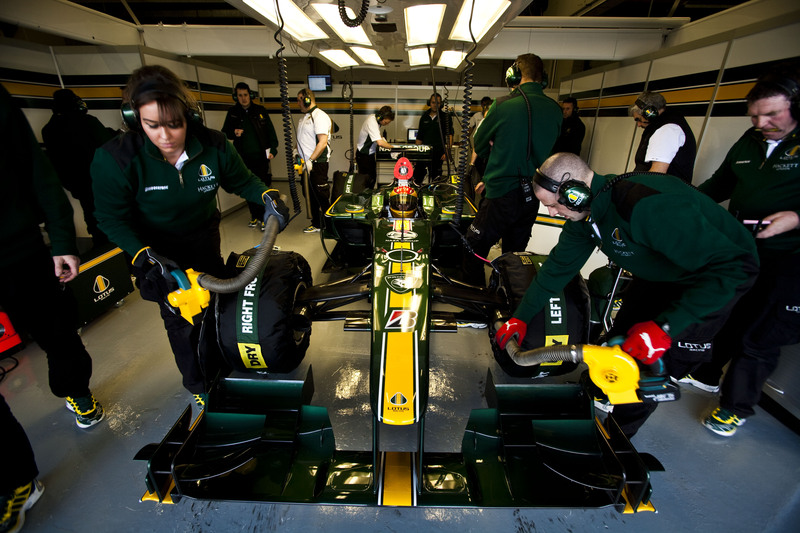 The structure progresses the Lotus ‘bonded and riveted’ technology with new and unique extrusions and folded panels, whilst providing production build modularity and lower cost repairs. The chassis has been designed for scalability so that it can be extended in width, length and height. The strength and stiffness of the low volume VVA chassis can be modified cost effectively by varying the wall thickness of the extrusions, without altering the exterior dimensions. The ability to lengthen or shorten extrusions with the option to tailor the chassis stiffness vastly increases the number of vehicles that can be developed from this vehicle architecture. The Lotus Evora 414E Hybrid offers exhilarating, all-round dynamic performance and takes advantage of Lotus developed torque vectoring dynamics. Torque vectoring, which is the capacity to generate different torques at each of the driving wheels, is particularly suited to electric vehicles and significantly reduces the conflict between stability and response. A key benefit of separate motors to drive each rear wheel individually is that this facilitates a much higher level of vehicle dynamics control. Driving the wheels with different levels of torque can not only generate all the capabilities of a conventional ESP system using energy regeneration as opposed to brake application, but it can also actively drive each wheel forward at different rates, producing a turning moment at the rear of the vehicle in addition to the steering input. This can be used to enhance low speed manoeuvrability and ease of parking but can also be used to produce a much greater level of straight line high speed stability. Incorporating lateral sensors the system also provides stability control capabilities and levels of steering response normally only associated with heavy and expensive rear steer systems. This can provide automatic correction of both understeer and oversteer characteristics. In addition, the standard method to provide high speed stability of designing the rear wheels to toe-in is not required as the torque vectoring system automatically provides this stability control, with toe-in increasing rolling resistance, lowering fuel economy and increasing tyre wear. Lotus‘ long history of active suspension control provides the core capability to develop this technology and provides extraordinary driving pleasure on the Evora 414E Hybrid. The Evora 414E Hybrid provides less of a psychological step change for people familiar with high performance cars compared to other electric and hybrid sports cars. The car has a simulated paddle shift gear change offering ultra quick gear changes reminiscent of a dual clutch transmission, while actually single speed. This enhances the driver interaction with the vehicle and provides a driving experience similar to current internal combustion engine high performance sports cars. The Evora 414E Hybrid uses a column mounted paddle shift to simulate the gear change and a synthesised engine sound changes frequency with virtual gear selection. The drive torque is also modulated to simulate a physical feeling of a gearshift jolt. The virtual gearshift simulation, like a conventional gearbox, is used to change the driving characteristics and response of the vehicle. The most significant aspect that this offers the driver is the ability to control the vehicle deceleration by simulating engine braking through a virtual downshift in gears. Unlike true engine braking, the Lotus system does not dissipate the energy of the moving vehicle through internal engine friction but uses the electric motors to regenerate the energy back into the battery. While many electric and hybrid vehicles provide engine braking, this is generally at a fixed rate or preselected rate. In some driving situations this can either be too aggressive, slowing the vehicle unnecessarily, or too light, requiring additional braking application. The Lotus system effectively allows the driver to select the appropriate level of regeneration by simulating stepping down by one, two or even three gears. The simulation of engine braking through both the gear noise change and the retardation of the vehicle is fully intuitive to a driver familiar with a conventional gearbox. The simulated gearchange capability can be selected for greater driving involvement or switched off for more relaxed driving. The Evora 414E Hybrid uses the Lotus Engineering and Harman International developed HALOsonic suite of noise solutions. The first of which is Electronic Sound Synthesis. This generates engine sounds inside the vehicle through the audio system where it provides an exciting sports sound in line with the brand and nature of the vehicle together with a high level of driver feedback in an intuitive manner. In addition, it also generates sound on the outside of the vehicle through speakers mounted at the front and rear to provide a warning to increase pedestrian safety, which is especially important for electric and hybrid vehicles which can be difficult to hear at slower speeds. There are four driver selectable engine sounds currently on the vehicle, two of which have been designed to have characteristics of a multi-cylinder conventional V6 and V12 engine. There is also a futuristic sound and a combination of a conventional engine and a futuristic sound, enhancing the brand identity of the vehicle as a step forward in electric vehicle design. The addition of this Lotus patented simulated gearshift concept not only provides for an exciting and involving driving experience that customers would expect from a Lotus, but also enhances the driver’s control of the vehicle while providing the capability for more efficient operation through a greater use of energy regeneration. The distinctive colour scheme and ‘floating’ roof have been carefully designed to accent the cars electric vehicle technology whilst complementing the iconic lines of the Evora. Copper, a colour often associated with electrical systems, has been chosen for the car’s exterior and interior. A contemporary satin finish paint is complemented by electrical circuit inspired graphics that highlight the car’s key feature lines and the unique glazed roof panel. The newly extended glazed zone integrates seamlessly with the existing forms of the Evora whilst showcasing the key components behind the hybrid and electric vehicle technology. The signature copper theme is consistently carried throughout the car from the dramatic seat stripes and instrument panel inserts to the copper callipers that nestle behind the carbon grey forged wheels. Inside the cabin a sense of quality and richness has been created by carefully juxtaposing the different tactile qualities intrinsic to leather, Alcantara and metal. 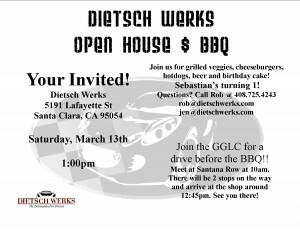 The GGLC will have a drive (10 am) & BBQ (1pm) on Saturday March 13th. 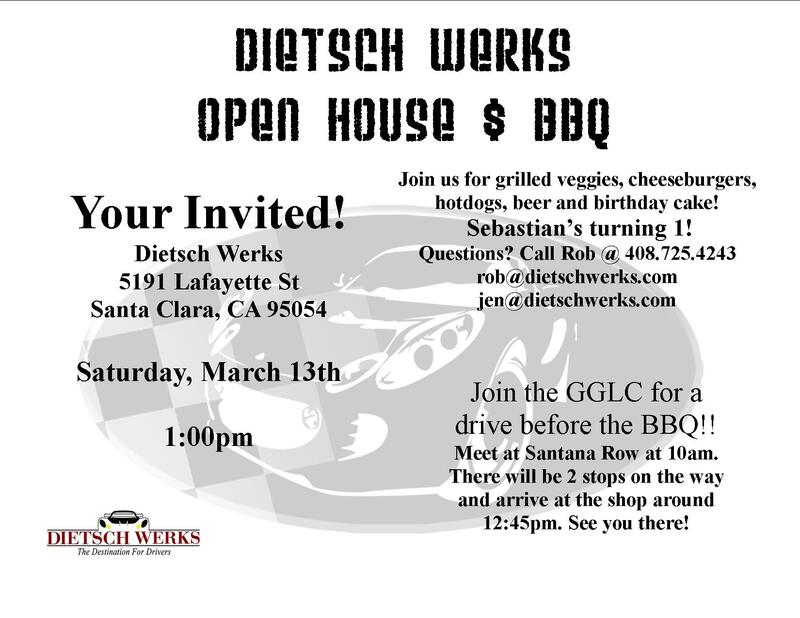 The BBQ is hosted by Rob & Jen along with an open house at Dietsch Werks. The run will start at 10 am from Santa Row in San Jose and will end in Dietsch Werks at around 12:45pm. The barbecue and open house will start at 1pm. 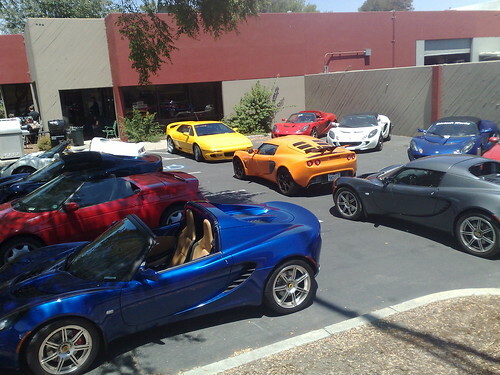 Bring your Lotus as there will be plenty of secure parking and it will be a great chance to check out each other cars. Rob will also be unveiling his “Mule 1” prototype at the event. The run may be canceled in case of inclement weather. 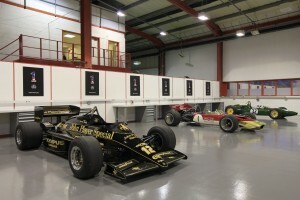 Team Lotus to enter Indy 500? 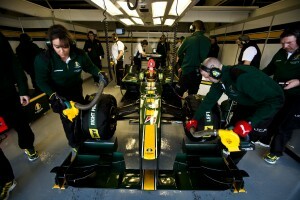 Racecar Engineering is reporting that Lotus will be entering the 2010 Indianapolis 500 under the ‘Team Lotus USA’ banner. Lotus has a proud tradition at the Indy 500 including a 1965 win for the Lotus 38 which was first mid-engined car to win the race. Further announcements about their current Indycar plans are expected next month. Lotus, Britain’s leading sportscar company was honoured to welcome supermodel Naomi Campbell to its Norfolk HQ when she visited to thank the workforce for their support in her fundraising efforts for victims affected by Haiti’s tragic earthquake. Part of Naomi’s plans to achieve maximum charitable support for ‘Fashion for ReliefTM’ includes a collaboration with sportscar company Lotus and together they have developed a scheme for eight ‘Naomi for Haiti’ limited edition Lotus Evoras. During her visit to Lotus, Naomi met the designers and production teams responsible for bringing this very special project together. Each of the Lotus employees involved in creating the eight ‘Naomi for Haiti’ Evoras has donated their time and expertise to the project and Naomi was keen to thank all involved for their generosity. Whilst Naomi was at Lotus she posed alongside F1 Driver Jarno Trulli and former Prime Minister of Malaysia Tun Dr Mahathir Mohamad with a replica of the ‘Naomi for Haiti’ Lotus. Tun Dr. Mahathir, ex-Prime Minister of Malaysia, today conducted the official opening of the Lotus Racing factory in Hingham, Norfolk. Malaysia’s longest serving Prime Minister, and one of Asia’s most influential political figures, was joined by Lotus Racing Team Principal Tony Fernandes, Deputy Team Principals Kamarudin Meranun and SM Nasarudin and Chief Technical Officer Mike Gascoyne for the official ceremony to declare the factory open. During his tour Tun Dr. Mahathir was given a detailed explanation of the different aspects of a modern Formula One team factory. He was then seated in the Lotus Cosworth T127 Chassis 02 while the engine was fired up, giving the team’s esteemed guest a very rare insight into the conditions the team’s drivers, Malaysia’s Fairuz Fauzy, Italy’s Jarno Trulli and Finland’s Heikki Kovalainen work in at races and tests. 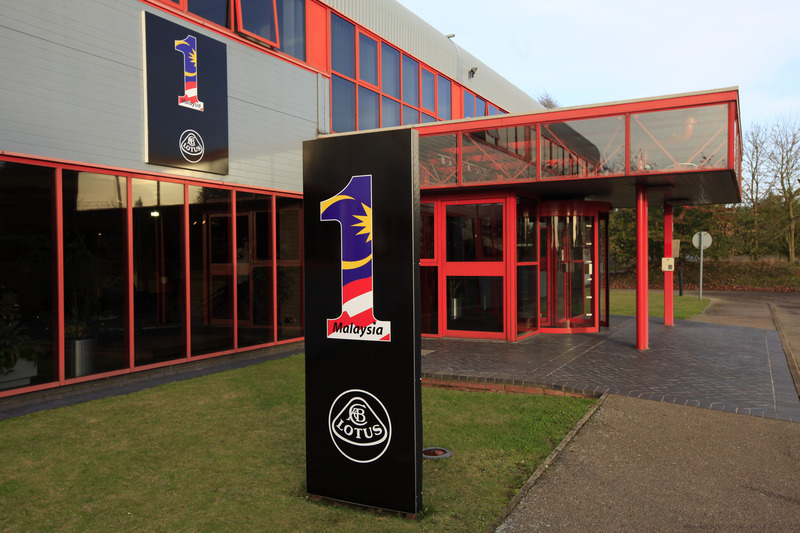 Tun Dr. Mahathir created the vision for the establishment and growth of motorsport in Malaysia, and therefore the birth of the Lotus Racing team. This visionary spirit was the driving force for the establishment of the Malaysian Grand Prix, held at the world-renowned Sepang International Circuit which was also created and built under his Premiership. Lotus Racing completed its first official test last week in Jerez and now moves to Barcelona for the final official test before the season kicks off in earnest in Bahrain from March 12th – 14th. Wet conditions in Jerez greeted Lotus Racing as the team arrived on track with Heikki Kovalainen taking over driving duties for Thursday and Friday. First out on track at exactly 9am, Heikki completed his installation lap and returned to the pits to give positive initial feedback to the team about his first drive in the Lotus Cosworth T127. Classic Motorsports magazine will be returning to Road Atlanta for their annual celebration of all things automotive, and this year’s event promises to be the best yet. 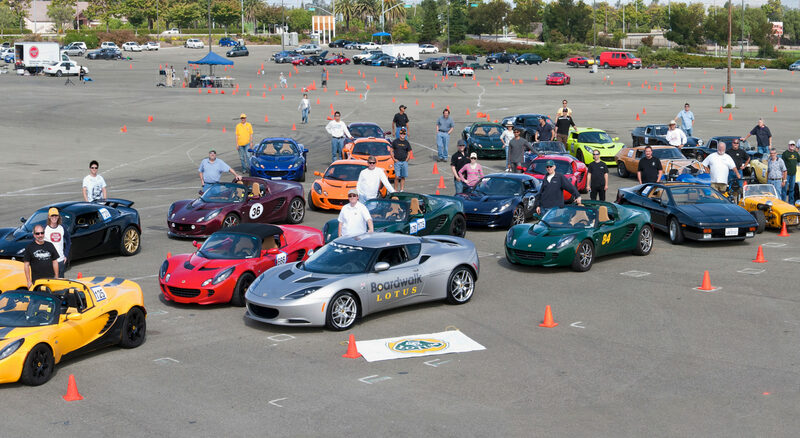 Lotus will be the featured marque for this year’s event, and will celebrate the honor by showcasing their new Evora coupe along with scores of historic Lotus racing cars. The Barber Museum will be displaying 10 historic Lotus cars from its collection in the Lotus tent. Concours d’LeMons– We love classics in all shapes and sizes, so we wanted to find a way for some of the orphaned and unknown to enjoy the spotlight. To that end, we’ve worked with the same minds that created the 24 Hours of LeMons to create the Concours d’LeMons. This event promises to be a light-hearted highlight of the weekend for lovers of underappreciated classics. Mazda Drivers Party– After the racing action on Friday, Mazda will be hosting a special party open to anyone with a Mazda key in their pocket. Come to meet and talk with the Mazda Pro racers, factory representatives, and executives that help make this company the number one choice of amateur racers. Classic Motorsports Cup race– The Classic Motorsports Mitty will host the second round of a new series for 2010—the Classic Motorsports Cup. 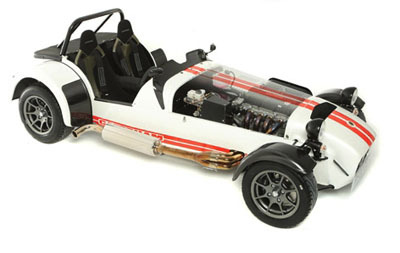 The series is open to small-bore cars produced before 1965 and their continuation counterparts. this race promises to be a hotly contested battle among the cars that make up the core of our reader’s interests. Kumho autocross– Thanks to Kumho Tires USA, the 2010 Mitty will again offer spectators the chance to drive a Kumho-equipped Mazda MX-5 around our infield autocross course. This driving experience is completely free of charge, so make sure you sign up for some top-down driving fun! Moss pub– The Moss pub will be open for business during the evening hours on Friday and Saturday night. Come by for a cold drink and the best bench racing you’ll find this side of Siebkins. Challenge a friend to a game of darts or a spin around our slot-car track anytime, but don’t miss the live music performed by Wess Cobb on Saturday night. Historic Stock cars– No cookie-cutter “Cars of Tomorrow” here—HSR’s Historic Stock Car class features a full field of competitive racers piloting the cars from NASCAR’s past. Be sure to walk through the paddock to see these famous former race winners. Swap meet– Need headlight trim for your Spitfire? How about a new bumper for your Jag? Expanded for 2010, The Classic Motorsports Mitty now offers spectators an opportunity to find those elusive parts for their own project at our Swap Meet. Vintage motorcycle racing– More than just four-wheel fun, the Classic Motorsports Mitty will also feature vintage motorcycle racing around Road Atlanta’s 12-turn circuit. See and hear classic marques like Vincent, Triumph, Matchless and Norton in a nostalgic battle for bragging rights.